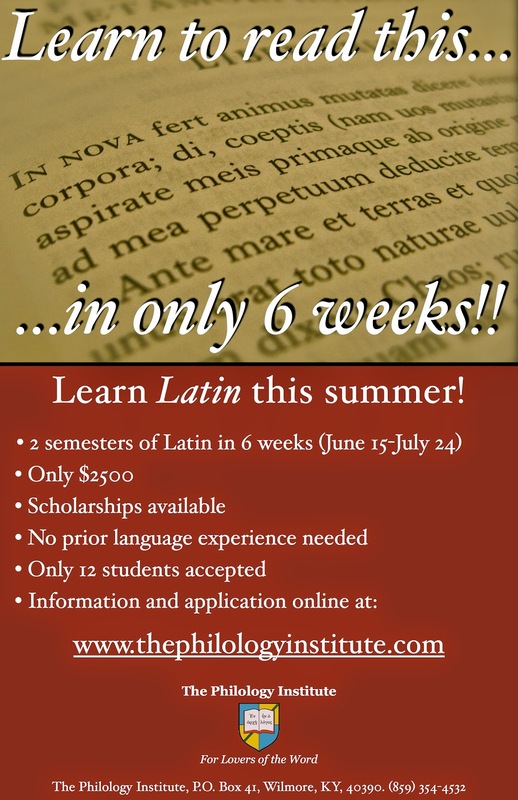 The Philology Institute in Wilmore, Kentucky will offer an intensive, six-week summer course in Latin from June 15 to July 24, 2015. The cost of the course is $2500 (for the equivalent of 2 or more semesters of college-level coursework), and there are a limited number of $500 scholarships. Applications are currently being accepted.